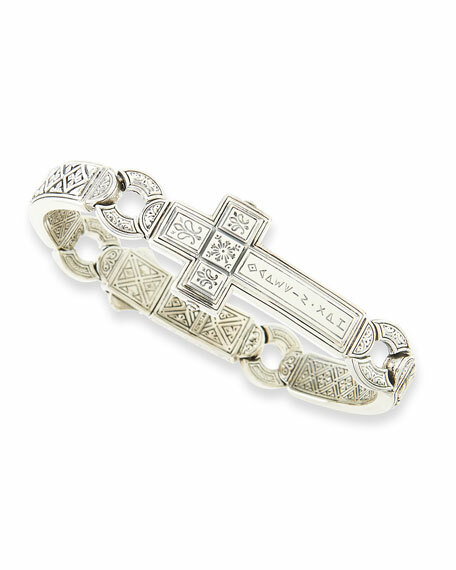 Konstantino Men's Dare Sterling Silver Cross Bracelet, 3"
KonstantinoMen's Dare Sterling Silver Cross Bracelet, 3"
Intricately engraved silver makes this Konstantino bracelet a classically masculine accessory. Konstantino men's Dare cross cuff bracelet. Approx. 3" diam; cross measures 1"W.